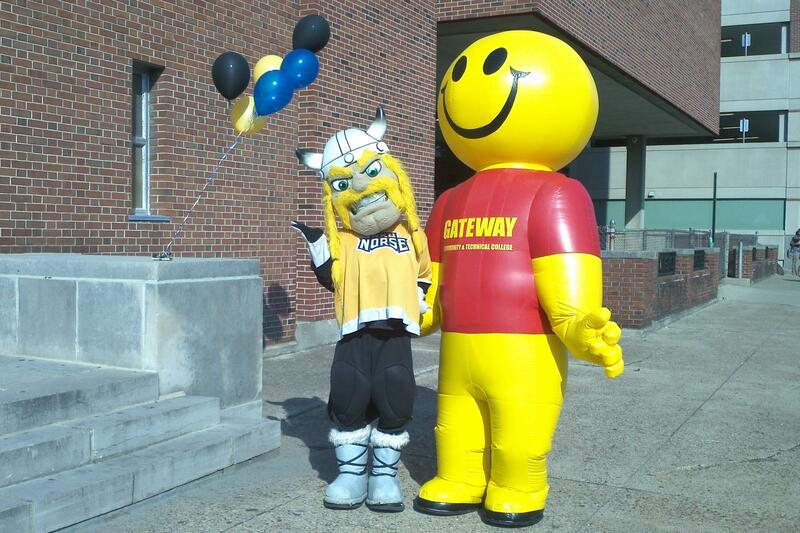 Victor E. Viking and Gateway Guy celebrate the expanded partnership between NKU and Gateway CTC. 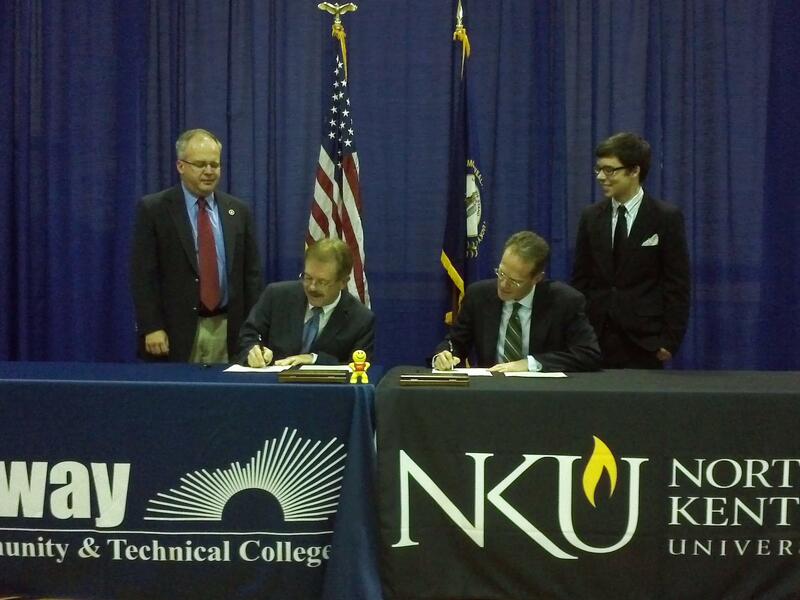 Gateway President/CEO Ed Hughes and NKU President Geoffrey Mearns sign the partnership documents. Participating Gateway students will also have full access to all NKU extracurriculars and facilities such as libraries. Both schools the partnership will make it less expensive to get a college degree. Students who graduate with an associate degree and a 2.0 grade point average from Columbus State will be eligible for guaranteed admission to Miami University. Miami University is also committed to providing a limited number of scholarships for eligible students.